David Toti has joined National as Managing Director of Equity Research covering REITs. Prior to joining National, Mr. Toti spent a combined fourteen years as a Director of an Equity Research Analyst at a number of financial institutions including Lehman Brothers, Citigroup, and BB&T Capital Markets. During that time he has covered most real estate sub-sectors and garnered several awards, including Starmine’s “Top Stock Picker Award – 2015” for the REIT sector. David holds a Bachelor of Architecture from Syracuse University and an MBA in Real Estate from the University of Wisconsin-Madison. Matthew Galinko has joined National as a Senior Equity Research Analyst covering Technology and focused on the Internet of Things. Mr. Galinko has covered the technology sector since 2007, including small caps at Sidoti & Company and multi-cap software at Battle Road Research. Mr. Galinko holds a Bachelor of Arts degree in Economics with a minor in Business from Brandeis University. Paul Bienstock has joined National as a Senior Equity Research Analyst covering Medical Devices. Mr. Bienstock is a seasoned professional who has spent nearly 20 years as an Analyst at a number of institutions, with a strong focus on healthcare and the medical device space. Mr. Bienstock has also covered the investment grade/high yield credit space and most recently acted as a Portfolio Manager focused on healthcare investments. 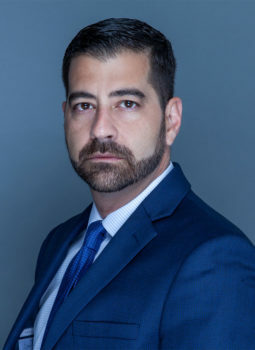 Mr. Bienstock holds a Bachelor of Arts degree from Brandeis University, as well as a Master of Business Administration (MBA) degree from New York University, a Master’s degree in Taxation from Pace University, and is also a Certified Financial Advisor (CFA). National Holdings Corporation (NASDAQ: NHLD) is a full-service investment banking and asset management firm that, through its affiliates, provides a range of services, including independent retail brokerage and advisory services, investment banking, institutional sales and trading, equity research, financial planning, market making, tax preparation and insurance, to corporations, institutions, high net-worth and retail investors. With over 1,000 advisors, registered reps, traders, sales associates and corporate staff, National Holdings operates through various subsidiaries including National Securities Corporation, National Asset Management, Inc., National Insurance Corporation, Gilman Ciocia, Inc. and GC Capital Corporation. Formed as a holding company in 1996, National Holdings’ largest subsidiary National Securities Corporation has been in business since 1947. National Holdings is headquartered in New York and Florida. For more information, visit www.nhld.com. Fortress Biotech, Inc. (NASDAQ: FBIO) through its affiliate FBIO Acquisition, Inc., is a majority shareholder of NHLD.